You are about to experience a dramatic increase in your confidence at presenting. You are invited to a half-day seminar with a world-class presentation and communication skills expert where she will provide you with proven tools, techniques and skills to deliver high impact presentations. However, this fantastic opportunity is limited to 12 professionals only. 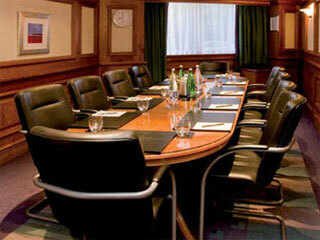 Standard Price £247 – Book today and you get it FREE. At this Complimentary our mystery guest speaker and the Impact skills team will train you on 2 absolutely essential “must know” skills – crucial for any business professionals who want to give high-impact presentations. Why presenting is ranked as the Number #1 Fear for most business people! You’d do anything to avoid giving presentations! You’re so anxious that you sometimes forget what you have to say! You get a lot of “this is boring” glances from your audience! Did you get heart palpitations? Did you wish you weren’t there? Was your confidence low ? Did you fumble and mumble a little? Don’t worry – you are certainly not alone! The above are all totally normal behaviours exhibited by most people who haven’t had the time (or opportunity?) to learn professional presentation skills; from the experts. If you know you could have given a better presentation, then… this will definitely be of interest to You, this is your Window of Opportunity – don’t miss it! In total there are 8 critical skills that you need to deliver high impact presentations. On this free half day seminar we are going to give you 2 of these critical skills. You have absolutely NO RISK, and nothing to lose! You could learn these very Effective, Essential and Proven presentation skills and techniques, successfully used by Senior Executives in organisations like (GE, Sanofi-aventis, Ford, Deloitte, Mitsubishi, Barclays, Johnson & Johnson) designed to increase your confidence, ‘presence’ and credibility. ImpactSkills show high performance in all three criteria. We recommend ImpactSkills as a trusted partner for core business skills training. ImpactSkills strategic learning thoughts contribute significantly to Deloitte drive towards our vision “To become the Standard of Excellence”. I was extremely impressed by the course in every respect – the content and delivery was first class and everybody without exception has benefitted. I have had the pleasure to work with Impact Skills to upgrade the communication skills General Managers, HR Directors and middle management teams in a highly international context. All Impact Skills facilitators we have worked with have shown a high level of professionalism. We will certainly continue to work with Impact Skills in the future. 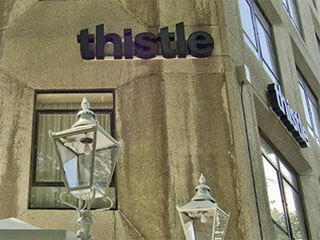 Thistle Euston Hotel, Central London- refreshments included! Get your ‘calls to action’ achieved! The seminar is highly interactive and you enjoy the benefit of private 1-to-1 coaching and feedback (normally a premium service). Just to give some honest feedback, when we ran this seminar last time, the feedback we received was that we gave away too much content! Can you believe it? Uncover the simplest and most effective way to present like a professional. Learn the 2 vital presentation techniques. The kind that will inspire people to take action when you present. Do not underestimate how powerful these are! Discover how to position yourself as the expert in your niche, so that you stand head and shoulders above all your competitors (internal or external to your oranisation) regardless of your industry. Appreciate the effectiveness of leveraging your time when clear, articulate presentations are delivered. Walk out with an action plan to implement the techniques you’re learning on the day quickly and effectively. Avoid the pitfalls that most novices and experienced presenters make! Get it right the first time, every time! This means that you can dodge the catastrophic and embarrassing mistakes that most of us made have made in the past! Step to the front of the room with confidence. Enjoy the opportunity to network with forward thinking Executives in HR, Sales, Finance, Marketing and IT. Discover strategies for overcoming the fear of Presentations and Public Speaking and embracing the mindset that will fill you with confidence and excitement about your next presentation! Your own personalised DVD. This is a fantastic learning tool, which clients always request, and normally pay for! Your own workbook, packed with great communication Tips & Hints. Professionals who have already attended our seminar have dramatically increased their confidence in presenting, business results and overall team performance. YES! I Would Really Like To Attend Your FREE Seminar To Learn the 2 Strategies to Increasing My Presentation Impact ! Below you’ll find the dates and where these Seminars will be taking place. Remember this is a VERY LIMITED offer. This FREE seminar will not be for you unless you want to improve one of the CORE business skills you need these days; Presentation Skills. There are very limited places and it is “strictly first come first serve”. Last time we ran this free seminar it was booked within hours. Don’t miss your chance to work with the experts for free! Places are strictly limited to a select group of individuals who truly appreciate the value of world-class presentations. Numbers are limited to just a handful of Marketing, HR, Sales, IT and Commercial Managers / Directors, who are absolutely seriously committed to increasing their skills and ability present like a professional. Join me at this inspirational, information packed seminar and your eyes will be opened to a new realm of what’s possible when you next give a presentation. Imagine looking back to the Friday 30th September having been given an opportunity to easily, effortlessly and confidently give presentations any time. It will make a huge difference to you and all those in your team who work with you. It is possible… and it all starts with The Executive Presentations Seminar. If you cannot attend on this occasion; feel free to forward this link to an executive colleague. Thank you very much for your time, I look forward to meeting you over a coffee and working with you at our very exciting seminar! Have a great week. PS: Remember you will be at exclusive Central London Hotel , with a select group of Professionals who are also very serious about improving their presentation skills. You will undoubtedly INCREASE your CONFIDENCE, CREDIBILITY, CLARITY and CONVICTION when you present.